"Everything about this shop is wonderful. As a recent college grad going to the mechanic is always stressful, but the guys at One Stop Auto always make it much less painless. They're totally willing to work with you and your situation and make sure that you're driving around in a safe, fully functioning car. Everyone there is so friendly and so helpful!" It's a family-owned business that has been in the community for over 20 years. They are honest, friendly and explain what is wrong in terms the customer can understand. The prices are reasonable. One Stop is my only place to get my car fixed. The guys there are like family. I enjoy taking my car there because they make it a friendly experience. And their workmanship is second to none. I wanted the light to work independently of the door and it does not. It can turn on and off, but only when the door is closed. I can't turn it off when the door is open. Sometimes the left back door does not close all the way so this is a problem. Additionally, I thought it was under warranty so I would not have to trouble my father. I wish it was done correctly the first time. but I do appreciate that it was done quickly. The staff are friendly and explain the work to be performed on your vehicle. Let tell you the parts to be installed, price and warranty. The waiting area and office are very clean. They do excelent work. Maybe more expensive than other places. Everything about this shop is wonderful. As a recent college grad going to the mechanic is always stressful, but the guys at One Stop Auto always make it much less painless. They're totally willing to work with you and your situation and make sure that you're driving around in a safe, fully functioning car. Everyone there is so friendly and so helpful! Was taken care of by the owner...I had no clue who he was until the end of my service. Extremely accommodating, I was there a while...he offered me snacks, drink, explained everything to me! For an owner to be front of the house and be so attentive, I was very impressed! great experience overall! thank u!! I appreciate the professionalism of the staff, and I never feel pressured to add unnecessary repairs. My car is always washed and vacuumed when I receive it back, which is great. I have already recommended One Stop Auto to several friends. Great service! Fast and honest. Not cheap but well worth it. Nice group of guys, very cool. Gave me a deal even though it was a little pricey, I feel they did a fine job. I would go there again (if I could get a better deal, hehe). Very good service as usual. Narcisso is very helpful and great at providing service and information. One Stop did not disclose needed repairs initially, and did not explain services clearly. Had my brakes done and for the amount of money I would hope they were not making that same sound. I do not feel I am in any danger but like I said, for the amount of "good" money I spent I would think I would not have the problem again. Great customer service, repair work could use help. One Stop Auto Care is family owned and operated, in the same location on Eagle Rock Blvd in Los Angeles since 1989. Courteous, prompt service and vehicles that are "fixed right the first time" are the priorities of this shop. To help achieve these goals, their experienced staff often attends training classes to keep up on the latest technical information. They are also equipped with an excellent collection of the best scan tools and diagnostic equipment. The quality found at One Stop continues to help their business grow, as they have recently added anther ASE certified technician to their team. 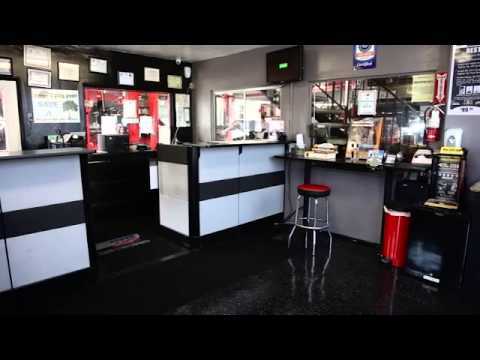 Established in 1989, One Stop Auto Care has served the Eagle Rock Community for over 22 years. Family owned and operated, our staff is friendly and courteous and we pride ourselves on treating our customers like friends. We reference the most up to date vehicle databases to diagnose your vehicle, and use the latest technology to consistently provide the best service, quality workmanship, and speedy repairs. For your peace-of-mind, we offer longer guarantees than the majority of our competitors: 24 months or 24,000 miles in most cases. At One Stop Auto Care, we genuinely care about your vehicle and know how important it is to your quality of life. We have a passion for cars, and make it a priority to take care of you and the health of your vehicle! For the all of these years, we have worked hard six days a week to serve and help every customer to the best of our abilities. Come in and see us! 1. Check for a 1st or 2nd design motor mount. 1. Start the engine cold and the engine temperature, intake air temperature and transmission temperature should be within only a few degrees temperature of each other..
2. Test drive until operating temperature is obtained. 3. Allow the vehicle to cool and repeat steps #1 and #2 a second time. 1. Check if the distributor is turning. If not, the timing belt is broken. 2. If the distributor is turning, the timing belt may have jumped. 1. At the under-dash fuse relay box, check to see if there is battery voltage coming in on terminal 7 Red/Black wire when the taillights are turned to the on position. 2. At the under-dash fuse/relay box, check to see if there is voltage coming out of the box on terminal 11 Red/Black wire. If the fuel trims are high at idle, spray supplemental fuel around the engine area while monitoring the Oxygen (O2) Sensors and fuel trim to isolate a vacuum leak. Pinch off vacuum hoses one at a time while monitoring the Oxygen (O2) Sensors and fuel trim to isolate a leaking component. Check the engine compression, specification is 199 PSI. If the compression is low check for the timing belt to be off a tooth or for possible sticking piston rings. Check the fuel pressure at the inlet side of the fuel filter. Fuel pressure should be 40 PSI or more.